Website Designing Company in Mawana: Do you own a business offline? If yes, you are losing your potential customers daily online and they are going to your competitor’s website. 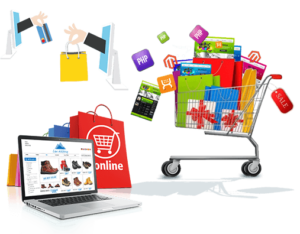 Don’t wait and get your eCommerce business online with fully attractive and mobile friendly eCommerce Website in Mawana, Meerut. We are here to help you to put all your products online and will provide the best solution to your business today. We are best website designer in eCommerce Websites, business websites, static websites, and dynamic websites & online portals. We have the 4-years experienced graphics designers and developers. They know the best and latest technology to make your website more comfortable and user-friendly. We promise to deliver the best website design and functionalities to our customers, so don’t worry and call us today to get a free quote. This is Shani Deshwal and he is a Web Developer, and a Google Local Guide at Level 9. He is a part of TechDost Services Private Limited where they deal with software development, web development, digital marketing services, and Virtual Tour at Street View.